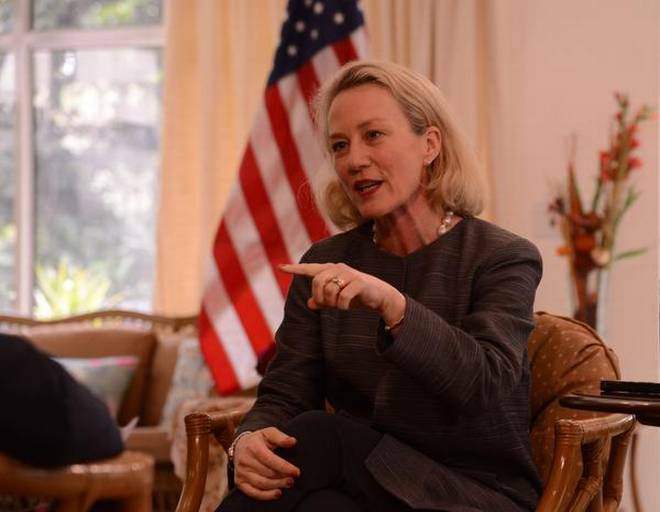 United States Principal Deputy Assistant Secretary for South and Central Asian Affairs Alice Wells on Friday said that US President Donald Trump was unhappy with little progress with Pakistan with regards to negotiations with the Taliban. “The US president had directed that we work together with Pakistan to bring Taliban to the negotiating table, however, he was disappointed after no headway was made,” Wells said while talking to a local media outlet. “These set of issues will continue to be important,” she emphasised. “I can assure you through my own efforts that we are always looking for opportunities to strengthen our relationships,” Wells explained. “They will discuss important points regarding strong partnership,” she said in reference to a meeting between Foreign Minister Shah Mehmood Qureshi and US Secretary of State Mike Pompeo. “There are investment opportunities in energy and other sectors in Pakistan and US is looking forward to strengthening its trading ties,” Wells elaborated. Moreover, she emphasised on working towards stability in Afghanistan. A day earlier, in an interview with BBC Urdu, Wells had said that US wants “positive and constructive” relations with Pakistan. “Pakistan is an important country in the region [South Asia] with an important part to play,” she added. “We comply with South Asia’s policy of eradicating ‘non-state actors’ and want to eliminate terrorist activities and proxies in the region,” Wells added.